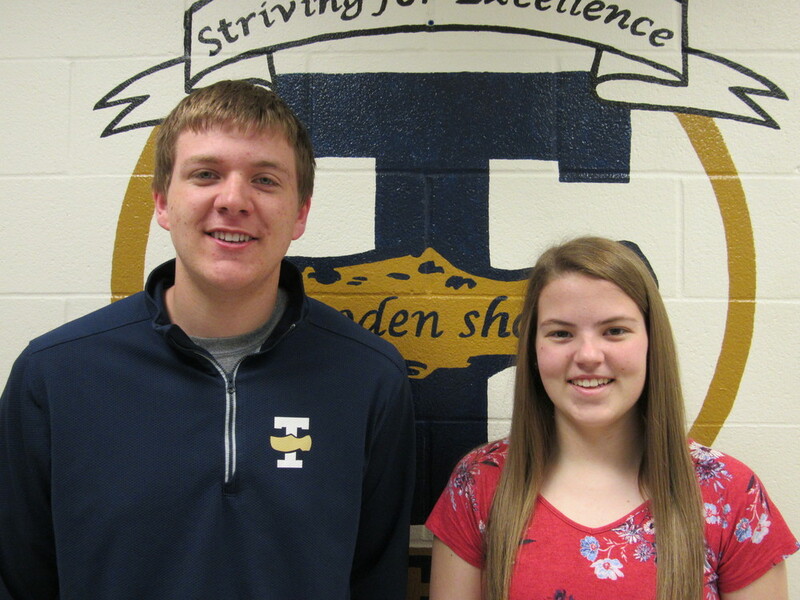 Matthew D. Deters and Leah Schumacher are April Rookies of the Month at Teutopolis High School. They were nominated by their teachers and then selected by a team of faculty members in recognition of their active participation in school activities, their academic efforts, and their kindness and respect towards others. Matthew D. Deters, the son of Chris and Laura Deters, is a freshman at THS. Matthew participates in basketball (1 year), baseball (1 year), and Teutopolis Math League (1 year). He will be going to state in May to represent the THS Math League. Matthew has been named to the high honor roll throughout his freshman year. In his spare time, Matthew enjoys fishing, hunting, playing sports, and hanging out with friends. Deters plans to attend college after high school and focus his studies in the medical field. He plans to get married and have children one day. Leah Schumacher, the daughter of Bob and Loretta Schumacher, is a sophomore at THS. She has been involved with Volunteens (1 years), In-Touch (1 year), Spanish Club (1 year), Teutopolis Math League (1 year), Band (1 year), and National Honor Society (1 year). Leah also holds a position as a class officer for the sophomore class as a treasurer. She has participated on the basketball team (2 years) and the softball team (2 years). She has also achieved high honors the last 2 years. In Leah’s spare time, she enjoys going to her grandparents’ house on Sundays and going camping with her family. In the future, Leah plans on attending college and studying dentistry. “While I will likely attend Lake Land; Notre Dame is my dream college,” stated Schumacher.